TAMPA, Fla. (March 26, 2018)- The often costly, time consuming process of obtaining bloodwork and urinalysis could soon get a major overhaul. Researchers at the University of South Florida in Tampa have created a mobile version of the "Enzyme Linked Immunosorbent Assay" (ELISA), the gold standard technique used to detect the presence of an antibody or antigen. 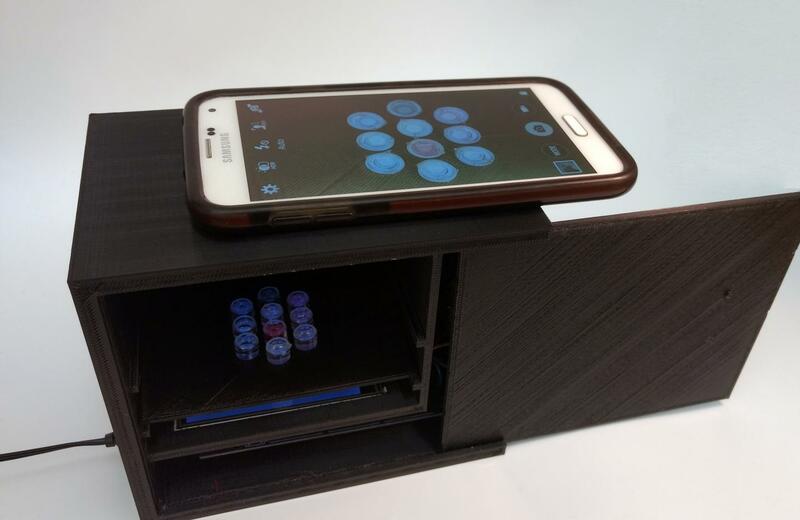 Instead of sending patients to a laboratory, new cellphone-based technology allows for the very same test to be conducted in the doctor's office, clinic or even in a remote area. "ELISA is an important technology for biochemical analysis of proteins and hormones and is critical for the diagnosis of many diseases, such as HIV and Lyme Disease," said corresponding author Anna Pyayt, PhD, assistant professor at the University of South Florida College of Engineering. "But the machines required for the incubation and reading are expensive and bulky. The MELISA allows patients to undergo testing and obtain results at point-of-care." "It is designed to make biomedical testing simple and affordable. When low cost testing can be integrated with routine clinic visits, this would greatly improve the quality of healthcare and detect worrisome signs earlier, Dr. Pyayt said. The portable MELISA weighs just one pound, dramatically helping older patients suffering chronic conditions and those across the world. Dr. Pyayt and her team at USF are now calibrating MELISA for a variety of tests including testosterone. With those results, they'll apply for FDA approval so clinics can start using the device.